Overexposure to the sun and ultraviolet radiation can lead to the formation of skin cancer. A persons skin type can also make them more susceptible to sun damage. In New Zealand there are about 10000 new malignant skin tumours each year. is the commonest malignant skin tumour accounting for more than 50% of skin cancers. More than half of these cancers occur on the head and neck. It is very rare for these to spread elsewhere in the body. 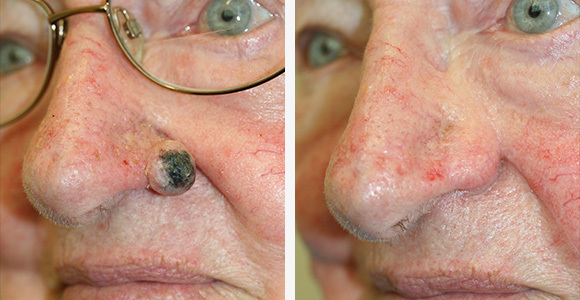 BCCs can appear as nodules, scaly patches or depressions in the skin. Treatment. Usually BCCs are treated surgically. 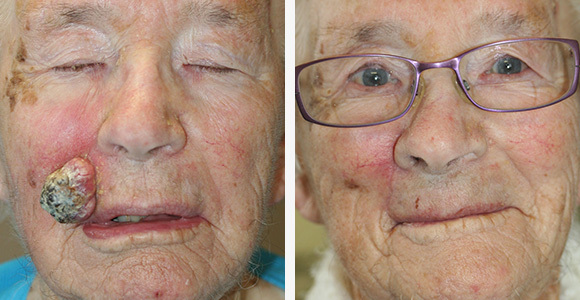 However some types of BCCs can be treated by freezing them with liquid nitrogen or using creams or photodynamic therapy. Treatment is usually surgical excision but radiotherapy may sometimes be indicated. is the deadliest skin cancer. There are 800 new primary melanomas and approximately 200 people die each year from melanoma. The incidence in Auckland is the highest in the world. However mortality may be decreasing because of early detection and treatment. 50% of melanomas arise from moles and 50% from previously normal skin. Treatment involves the complete excision of melanoma. Sometimes there may be an indication to remove a nearby lymph node to help determine if the melanoma has spread. is a lesion that grows rapidly over about a month and then may regress and disappear over the next couple of months. These lesions are raised often with a central core but can be difficult to distinguish from a SCC so are often excised to determine the diagnosis. can be scaly flat areas or raised up. They are a sign of sun damage. They are not cancers but can with time go on to become an SCC. Treatment is usually with freezing, creams or less likely surgical excision. When a skin cancer is excised a margin of normal tissue is taken to ensure its complete removal. 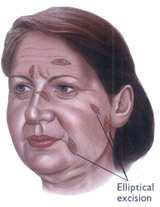 The majority of these SKIN EXCISIONS can be closed directly. The surgeon takes out an ellipse of skin to avoid bunching. Generally the length of the scar will be 3X the width of the excision. Sometimes it will not be possible to close the skin directly. Then either a skin graft or skin flap will be used. A SKIN GRAFT takes skin from elsewhere on the person’s body and is put into the defect created by the excision. 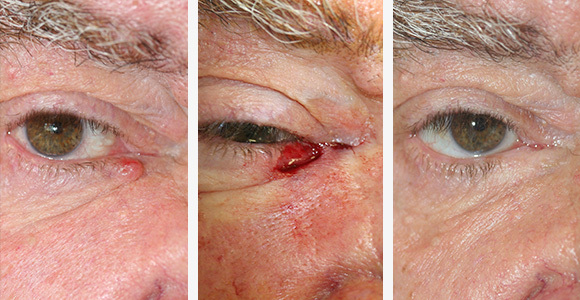 A SKIN FLAP moves skin from nearby to fill the defect. 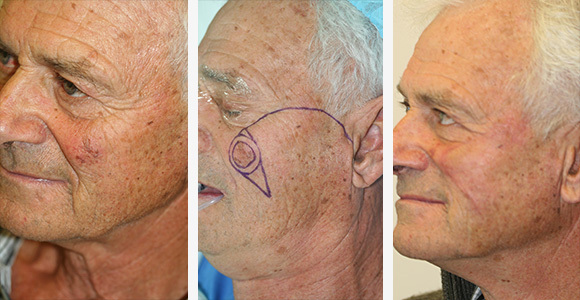 Mills Surgical Group is an Affiliated Provider to Southern Cross Health Society for selected services.